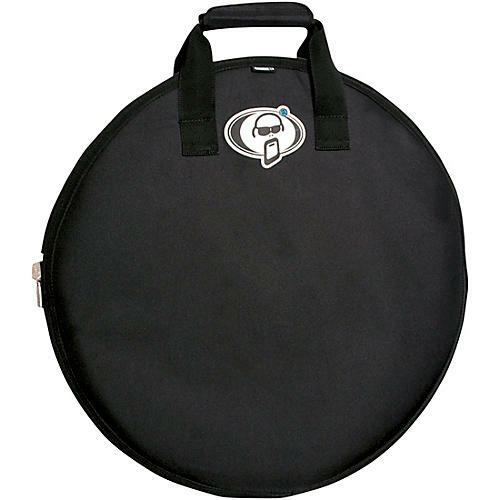 This Protection Racket Cymbal Case features inner and outer compartments with removable propile dividers to separate your cymbals. Both compartments will hold and divide 4 cymbals. Up to 22" or 24" in the main case and up to 15" hi-hats in the outer pocket. The base of the case has a 12" poly-prop protector sewn between the outer Racketex and inner Propadd. Beautifully constructed padded rucksack straps. Extra strength given by each strap being over stitched with 30 mm binding tape. Both straps are fully adjustable.